Details remain scarce, but reports state that North Korea has lost one of its submarines. It is not clear what exactly the suspected state of the submarine is but North Korea is frantically searching for it. This event could not come at a worse time as tensions on Korean Peninsula are at an all time high. 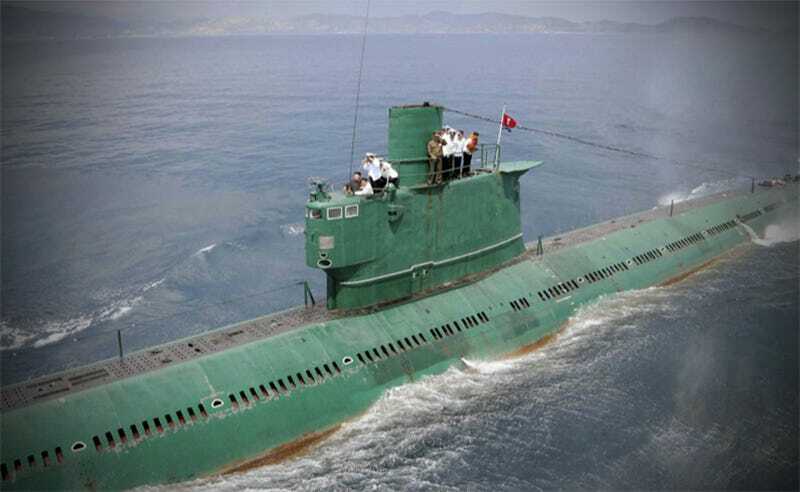 North Korea’s diesel submarine fleet is far from modern but it has proven to display eerily high availability rates, at least for short periods of time during surge operations. Still, the age of many of their boats make today’s news no great surprise. When these types of events occur there are usually elements of both opportunity and risk involved. If this submarine sunk but is still intact and its crew still alive, it is unlikely North Korea could rescue them, but other countries have rescue submersibles to do just that, including the US. Such a situation occurred aboard the Russian guided missile submarine Kursk in 2000. In the end it took Russia the better part of a week to accept help from Norway and UK and all aboard died. The sinking of the submarine was also initially blamed on a spying NATO submarine even though a weapons detonation caused the incident. With this in mind, the US could offer North Korea their help in searching for and possibly saving anyone aboard their missing submarine. Although it is almost certain that they will deny that any such search is underway, yet alone accept American or South Korean help, but you never know, and using an olive branch once in a while instead of a stick can’t hurt. There is also the possibility that paranoid North Korea could blame the US or South Korea for sinking its sub, which could drastically escalate an already tense situation in the region. Similar allegations were made by South Korea after their Corvette the ROKS Cheonan was sunk killing 46 of the 104 hands on-board in 2010. The sinking was widely blamed on a torpedo fired from a North Korean midget submarine.